Tips and Tricks for Success! We all know it’s hard to keep a balanced life during college. When your schedule becomes overloaded, its easy to let stress get the best of you. However, living a healthy and balanced life in college can be easy! 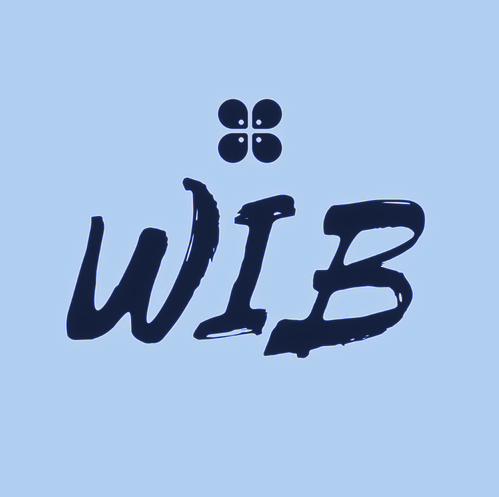 Here are some real-life tips from WIB Web + Blog committee members about how they incorporate healthy practices into their lives. Have a major test coming up and don’t even know where to start? These 7 real-life tips from members of the Web + Blog Committee will help you be at your best for exam day. Every great business woman has a good morning routine, because starting the day off right is essential to being your personal best and achieving your goals. Here are 7 tips that will help you to start your day off right. Rushing and lateness are some of the biggest sources of morning stress, and are a sure way to start off your day on the wrong foot. Setting your alarm a little bit earlier and giving yourself time to enjoy the peaceful early hours of the morning can be life changing. One bad habit that is especially difficult to kick is grabbing the phone as soon as the alarm goes off, and browsing social media in bed. Having done this before, I know that in a morning haze, it is easy to stay on your phone way longer than you would have liked. Turn off that alarm, put the phone down, and get moving. I LOVE getting a quick stretch in the morning. Whether this means having a yoga mat handy in your room or simply stretching in bed when you first get up, this is definitely great for waking up your body and safeguarding it from injury before you start your day. It will wake you up and make that first step out of bed easier and lighter. Imagine going eight hours throughout the day without water. Feeling thirsty just thinking about it, right? Now you can imagine how dehydrated your body is when you first wake up in the morning. Drinking a 16oz glass of water first thing in the morning can do amazing things for your body, and the benefits of adding lemon include firing up your metabolic and immune systems, increasing energy, and aiding weight loss! Meal prepping your breakfast for a busy work week can ensure you never miss your first meal of the day. My favorite breakfast meal prep is overnight oats, and you can find recipes all over the internet for this! Assembling smoothie ingredients in a bag to throw in a magic bullet is another lifesaver, and takes only minutes in the morning if it is planned at night. Making your bed is such a small task that can make such a huge difference in setting the tone for the day. It has been linked to higher levels of productivity throughout the day and lower levels of stress. It will leave you wanting to keep the rest of your room tidy as well. If you aren’t sold yet, this speech by Admiral William McRaven (https://www.youtube.com/watch?v=U6OoCaGsz94 )0.00-0.45), will change your mind. Start Each Day with a Grateful Heart! To wake up with thoughts of gratitude, and to remember that each and every day is a blessing that not all those afford, will always set the tone for a great day. It can get you through mornings of the days that you know will hold your greatest trials, or to reaffirm positivity on those mornings that will be your best. Meeting today in BB 206! Bring your friends and come out! Our meeting today will be held at Frutta Bowls!! See you all there at 2:30! NETWORKING EVENT ALERT! Johnson & Johnson is coming to campus tomorrow night! Stop by to network with J&J employees and learn more about company opportunities! Make sure to wear business casual!